Is that normal? Or do I just give myself too many high expectations to achieve? I must say this has been an interesting process for me. I feel as though some part of me has taken on a Carrie Bradshaw persona where I’m asking myself random questions.. Maybe I’ve watched too much SATC. Why do we place so much emphasis on achievement? I’m really enjoying this blog, as it’s forming an outlet for my thoughts. Very cathartic. I may have to purchase a dictaphone though, as the Miss Bradshaw thoughts need a home. 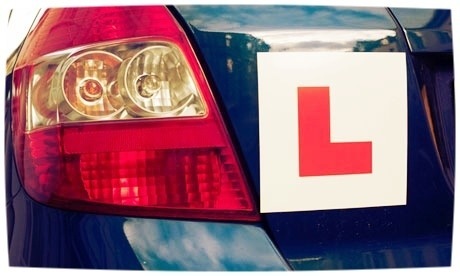 So people, please help me with my Learner Plates and provide me with feedback, guidance and tips. I need to know if I’m going about this all correctly. So far it’s pretty organic. This entry was posted in Ramblings and tagged Achieve, carrie Bradshaw, learner plates, organic, rookie, SATC by whysamiam. Bookmark the permalink. I totally understand what you mean as I’m new to the blogging world too. I think you are off to a great start, there’s some lovely photography going on here! Keep at it. Thank you! I’m a huge fan of photography. Best of luck to you too!